This item has been discontinued by the manufacturer. At the moment Respironics has not released their latest BiPAP AVAPS. 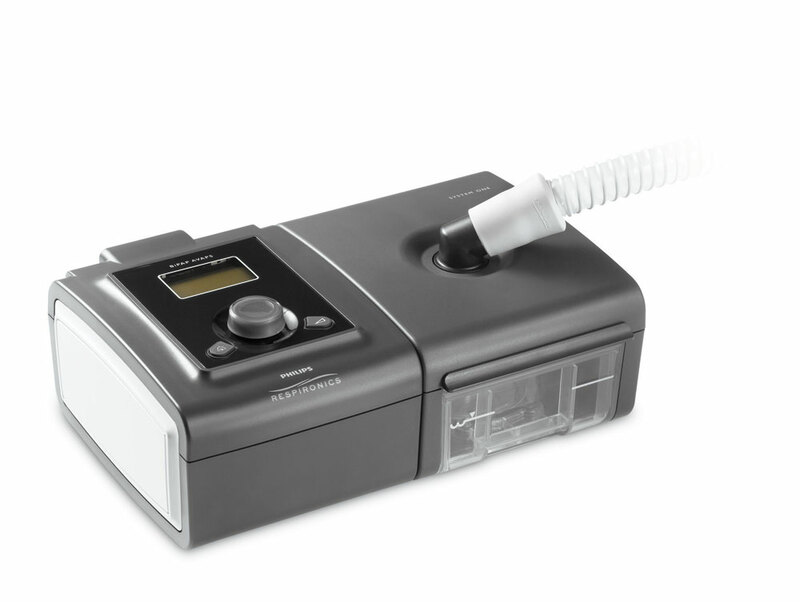 A similar noninvasive ventilator made by ResMed is currently available. Click the following link to view the machine. For more complex breathing disorders that require a more versatile device, Philips Respironics offers the PR System One BiPAP AVAPS. This device is a noninvasive home use ventilator that offers the best solution for the most complex sleep breathing disorders. The device features all the superior technology of the System One Series devices, such as humidity control, digital auto-trak sensitivity, BiFlex pressure relief and a convenient SD data card that can be used with the Encore Pro and EncoreAnywhere software for superior data sharing and management. This versatile device is specifically recommended for the treatment of sleep disorders such as COPD, neuromuscular, and obesity hypoventilation. It is a device highly recommended by healthcare providers, and should you have any doubts, you can always consult with your personal healthcare provider. We can also be of assistance in selecting your device should you need it. The PR System One BiPAP AVAPS offers ultra silent performance at 30 dBA, and its compact and lightweight design at 3 lbs., make it highly portable device. It is also compatible for pediatric patients who weigh more than 40 lbs. It also features T, S, ST, and PC modes. IPAPmin is from EPAP to IPAPmax, while IPAPmax is from IPAPmn to 25 cm H2O. The device is also capable of target tidal volume at 200 to 1500ml. The ramp features 0 to 45 minutes and a breath rate of 0 to 30 BPM. 7" x 5.5" x 4"